The majority of our new patients are referred by our existing patients. Thank you, we regard you as our “preferred patients”. You have shown trust and demonstrated your appreciation for your Chiropractic and Massage care by referring someone. Everyone wants to live and work on the Sunshine Coast and in particular Noosa. That’s why there is an over duplication of all services from painters, plumbers, sign writers to Chiropractors and Massage Therapists. Additional to our profession we have Physios, Osteopaths, and every other therapist known to mankind. We are conscious of this oversupply and of the limited pool of a small regional population. 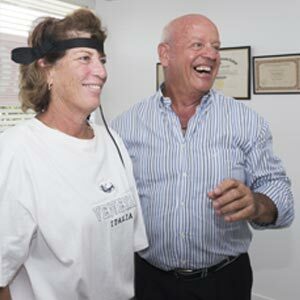 Therefore we add value to your treatments by offering you private parking, computerized and X Ray spinal examination along with applied kinesiology diagnosis, in house electronic billing, and Richard has 41 years of clinical experience. We are constantly evaluating our own performance and customer satisfaction. Every new patient immediately after their initial consultation, exam and adjustment receives an evaluation email asking them to rate our performance and their level of satisfaction. I am happy to report our new patients have given us a 5 star overall rating from our customer reviews. In addition we get unsolicited reviews on Noosa Life Chiropractic and Massage Face Book page where patients and friends have given us a 5 star review rating. Unfortunately with Google reviews we have an overall 4.3 star status. It seems we had two 1 star reviews from a malicious reviewer. I complained as there was no such patient on our files, however Google would not remove them. If you wish to add your comments and make your own review, then we welcome you to do so by Clicking Here. Again thanks for your kind comments, referrals, and reviews. We have served the people of Noosa 26 years and take a pride in our work, helping relieve your symptoms as soon as is possible and coach your health needs with advice and support. We have regular team meetings and are constantly striving to provide the best Chiropractic and massage service on the Sunshine Coach. Looking forward to serving you for many years to come, Richard and Debbie Singer.